If you were to wander into Fairchild Hall, you would be surprised by how calm it is. There are offices for the University Honors Program, the Office of Nationally Competitive Scholarships, study abroad offices and much more. But past these offices, down some stairs to the basement, around a few corners and down a white, empty hallway, you will come to a hidden gem: the Cats’ Cupboard food pantry. 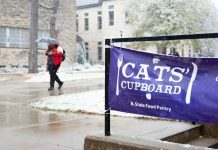 Cats’ Cupboard assists students on campus who are struggling with food insecurity by providing free food items, and it is the focus of the Kansas State University Foundation’s first “Day of Giving” event, All In for K-State. 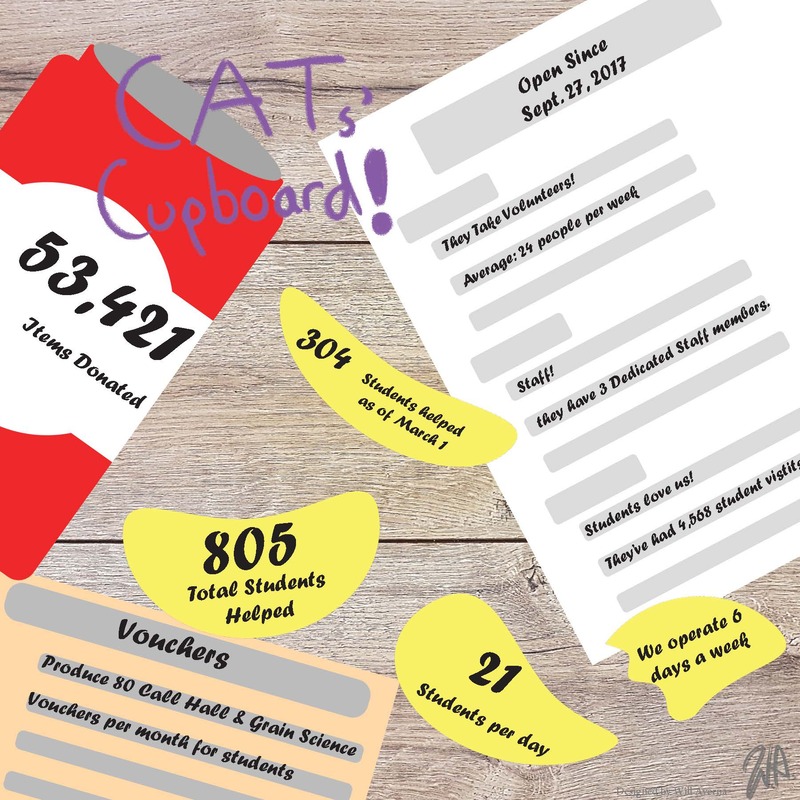 Erin Bishop, food pantry coordinator, said Cats’ Cupboard sees about 21 students per day on average, Sunday through Friday. In the time since the pantry opened in September 2017 to March 1 of this year, the pantry has had 4,568 visits. Those visits are divided among 805 “unique students,” which are what Bishop and other Cats’ Cupboard employees call individual visitors. Since the beginning of the spring semester, there have been 304 unique students. Cats’ Cupboard relies on donations of nonperishable food items, toiletries and kitchen equipment. 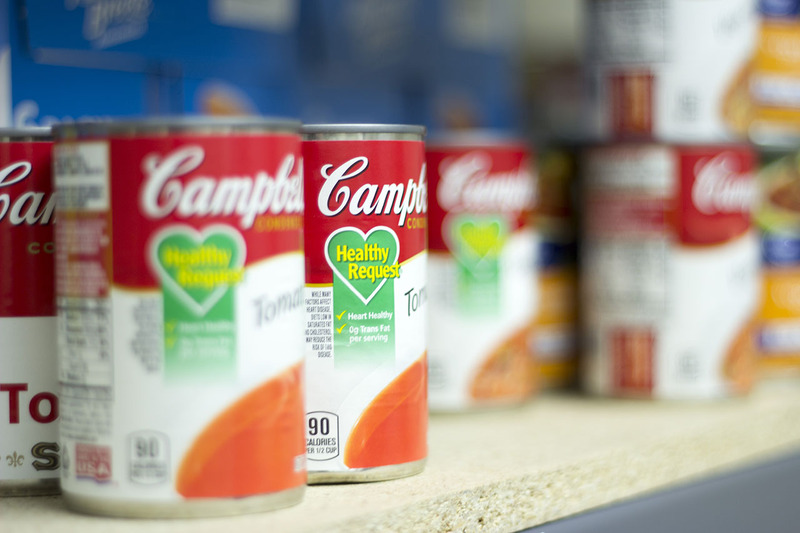 Over 53,000 items have been donated since the pantry made its debut. Tabitha Brownell, senior in nutrition and health, is one of the student volunteers for Cats’ Cupboard. 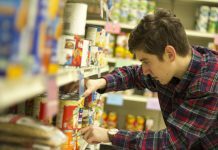 Many of the student volunteers are majoring in nutritional sciences or dietetics, and they find recipes to share with students as well as help students find the items they need in the pantry. Cats’ Cupboard also provides vouchers for products from Call Hall and the Milling Science Club. 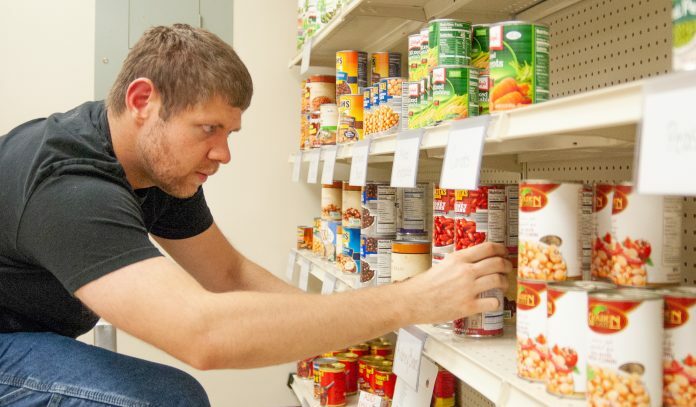 The KSU Foundation has partnered with Cats’ Cupboard over the month of March to prepare for All In for K-State on March 27. The Foundation has focused on promoting the food pantry and raising awareness about food insecurity on campus.